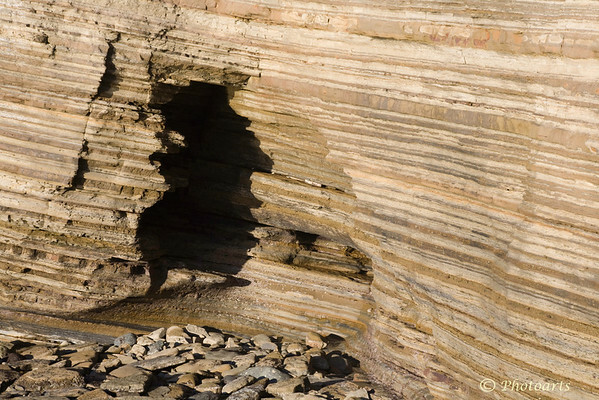 Pacific Coast Rock Patterns captured near Santa Barbara, CA. Truly a many layered shot !! Interesting find !! Wow, what a cool find!!! Sharp eye to spot this one, terrific light and texture...thanks for the comment today on my 'Ripply Grass' image...yes, it has been processed using a neat little Photoshop plugin from Redfield called 'Water Ripples', it's free...they also have one called 'Ripples Magic', haven't tried that one, it's a paid version...thanks again!!! neat light, shadows, lines, textures and contrasts!